The University of West Florida Business Enterprises, Inc. (UWF BEI) Board of Directors and the UWF Board of Trustees voted this week to approve an Affiliation Agreement with Vieste, LLC, of Chicago for the development of the UWF Hotel & Conference Center, Student Housing, and Restaurants. The vote follows the Jan. 29 approval of the Memorandum of Understanding (MOU) between UWF BEI and Vieste, LLC of Chicago, outlining the scope of the project. This $41 million development will be located on the northwest corner of Campus Drive and U.S. Highway 90 on approximately 18 acres. The groundbreaking of the development is projected for June 2013. Included in the mixed-use development plans are 100 hotel guest room suites as well as 300 rooms of housing for non-traditional and upper divisional students. Additionally, the Agreement references potential decentralized restaurant parcels located within the multi-use site. UWF BEI selected the West Florida Development Group led by Vieste, LLC of Chicago as the lead developer on Aug. 24, 2012. Manhattan Construction Company of Fort Myers will be the design/build firm. View the Hotel & Conference Center concept site plan here. 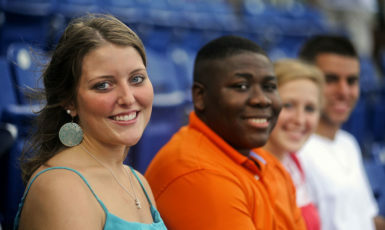 For additional information about UWF BEI, please visit www.uwf.edu/bei.